Before it became the Springs Preserve, this natural spring in Las Vegas, Nevada was home to Native Americans, who used the spring as their water source. Later, early Mormon travelers and settlers used the springs as a major campsite followed by ranchers and finally current residents who eventually drilled wells to tap the aquifer to meet the demands of the growing number of people in the valley. In 1962 the water stopped flowing from the wells completely due the amount of pressure put on the underground aquifer. 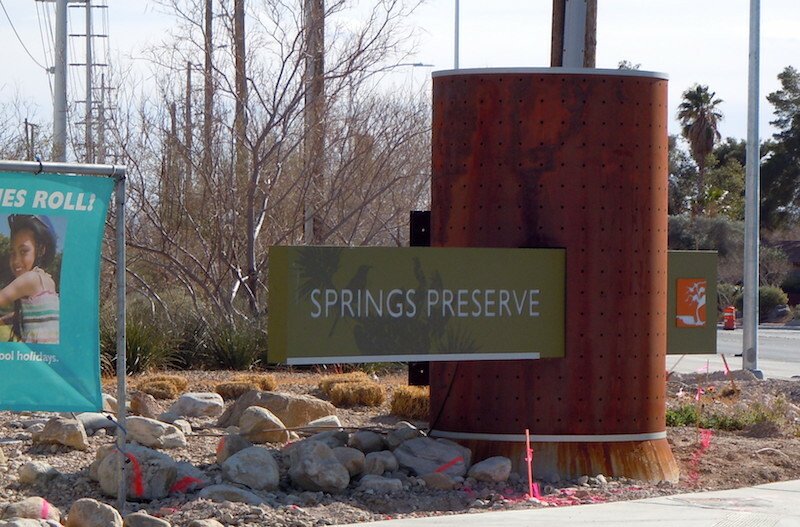 In 1966 the location of the springs was preserved after being designated an archeological site, and then from 1997 to 2007 the Las Vegas Valley Water District’s board of directors began developing the site as a preserve to protect and manage the cultural, natural and water resources of the site. The Springs Preserve opened to the public in June of 2007 and has continued to improve and attract many visitors every year since. On my most recent visit to the Preserve in February of this year, not a ton of things were in bloom, but rather, just starting to wake up early after a mild winter. 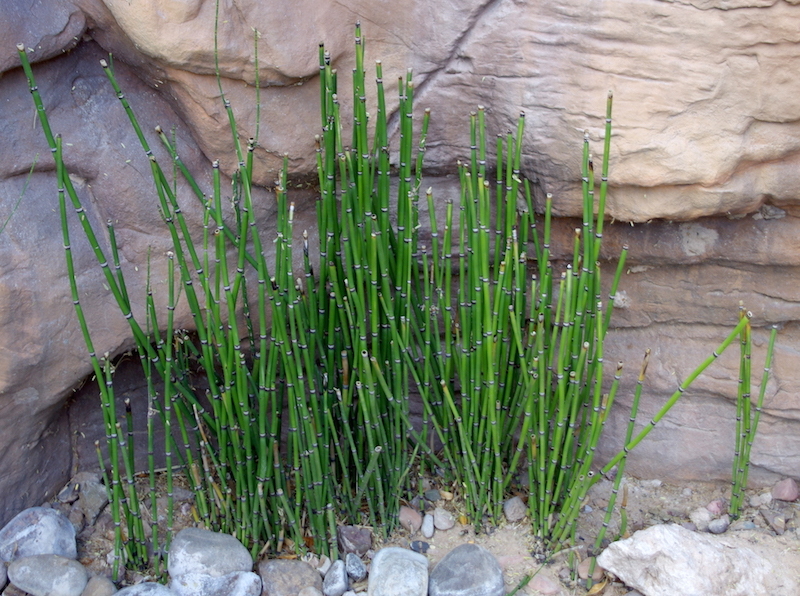 The first plant I encountered was Field Horsetail. Something I had not expected to see blooming so early was Desert Wolfberry. Normally it begins blooming in Late March to early April but on this day was well on its way to being in full bloom. After pollination it produces small orange to red berries that are a food source to some desert animals such as Gambel Quail and Kangaroo Rats. My favorite discovery of this trip was the Eucalyptus leucoxylon ‘Rosea’ a.k.a. Yellow Wood Tree. Its bright pink flowers stood out brilliantly against its gray-green leaves. I wouldn’t mind having one in my yard one day. One plant that was nowhere near its peak was Stanleya pinnata or Prince’s Plume. This magnificent member of the mustard family grows to about four feet tall topped with yellow flower spikes which make up for about half the height. 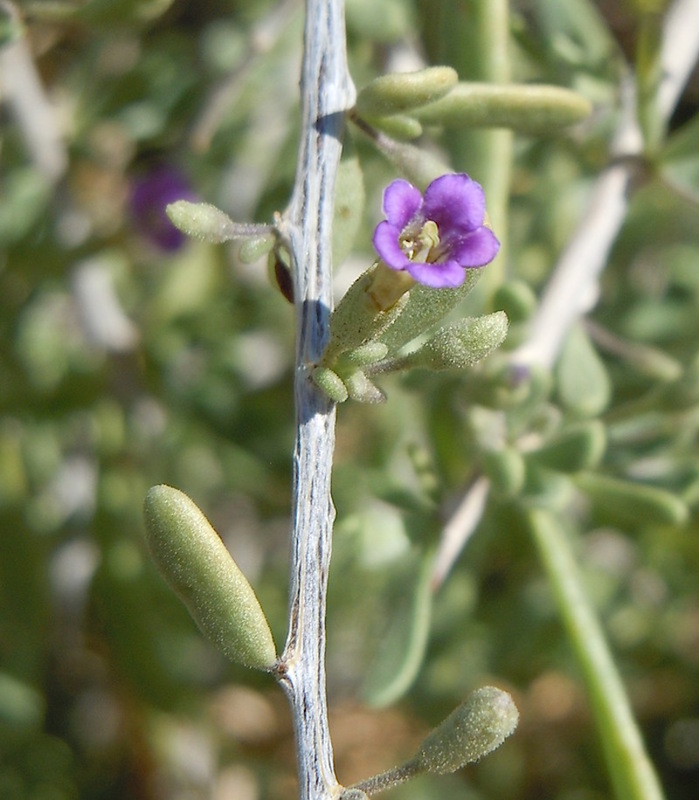 It thrives in dry climates and grows in soils rich in selenium. What spring nowadays wouldn’t be complete without Phragmites australis? Commonly known as Common Read, this species, with subordinate taxa native to every continent except Antarctica, can reach heights of 14 feet The European subspecies Phragmites australis ssp. australis becomes quite invasive along shorelines in the western U.S. where the soil has been disturbed in some manner. This corridor exhibit displays the transition of desert plants as they change throughout the Mojave, Sonoran, and Chihuahuan Deserts. View down an exceptionally designed corridor between display gardens. I look forward to visiting the Springs Preserve each time I get the chance and am anxious to see what new things are in bloom when I arrive.